Posted October 3, 2018 by Jamie Apps & filed under Arts & Entertainment, Events, Festivals, Kids. Street Food Circus is an ambitious project which brings together music, dance, theatre, live performance, food and drinks. But it needs your help to make the dream a reality. Street Food Circus is a new venture brought to you by a collective of independent industry specialists combining the best in Sydney’s street food, experimental bar culture and nightlife to create an event at the crossroads of a new local performance culture scene. Having now found a picturesque shade filled hidden garden gem with a huge tram like shed and artisan BBQ diner inside the grounds of Fraser Park in Marrickville the team now need your help to fund the program and support the artists who will make the event special. 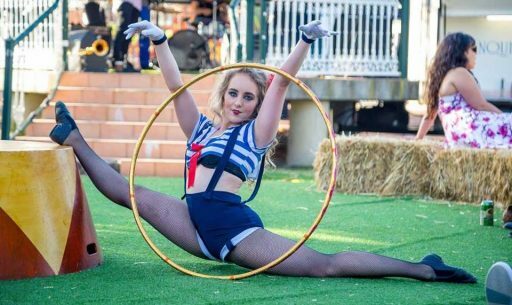 To help stimulate, inspire and further build the local creative ecosystem head over to the Street Food Circus page on Pozible. Without your support this event simply won’t be possible.